This topic contains 2 replies, has 2 voices, and was last updated by Joe 7 months ago. The Class directory exists. The file fpropdf.php exists too. I thought it was a permission issue but all folders have read\write permissions. Thank you for the help. Is your WP server on the internet or intranet?
. If it works, activate one plugin at a time to find the conflict.
. If if does not work with all other plugins deactivated, complete this form as we will need to login to troubleshoot the issue. Be sure to include FTP credentials. If intranet, you’ll need to purchase the intranet version to use the plugin offline. Thank you for the quick reply. WP is on the internet. 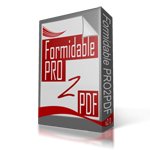 Deactivated all plugins and activated PRO2PDF. Still same error. Will send you the form and thank you for the help.